I have tried so many different brands of face wash in the past years and finally this organic surge face wash is the best one so far! It keeps my skin soft and smooth after using it. Flower oil is added inside prevent my skin getting dry. My blackheads problem is kinda eased after using this cleanser twice a day. 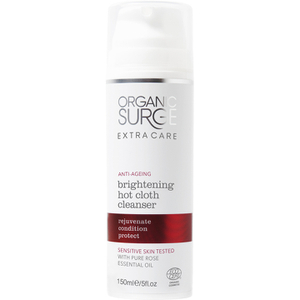 This has to be the best cleanser I have ever used, doesn't leave skin dry and lasts for ages. Highly recommended. Foams up well, leaves skin very soft and smells pleasant. The best thing is that it doesn't sting your eyes. Searched everywhere for this when my supermarket stopped stocking it. Bought a few bottles to stock up before the price increased. Love that it smells so organic and gentle on eyes and skin! Good face wash and good make up cleanser, I noticed a difference in my skin since using it, 3 weeks now, skin is clear, less oily and pores seems cleaner. The sent is different but good. The cleanser cleans well it doesn't let your face dry after washing. And my skin feels soft after washing. The only thing that bother me was the scent. It smells terrible I need to get used to it everytime I use it. So it's good for daily use. Where to start! I simply cannot believe that for such a low price I can buy a face wash of this standard that is organic, free from animal products and not tested on animals. 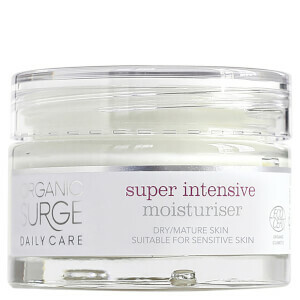 It smells amazing without being overpowering and leaves my face feeling smooth and clean without tightness or dryness. I will definitely be looking into purchasing more products from this range. Combination skin: - smell good - feel good and refresh after using it Definitely worth to buy it. Great product. Best price around and super fast free delivery. Would recommend!